Yay! 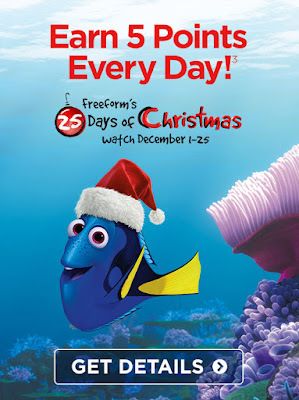 Disney Movie Rewards is once again offering FREE codes for the 25 days of Christmas! Just check the Disney Movie Rewards Facebook, Pinterest and Twitter pages for a chance to earn bonus points (I'll also post them here)! Each code is valid only on that day!